Dr Tran Thu Huong focuses her research on materials science, especially rare-earth-doped luminescent materials and nano-structured materials for biomedical applications. 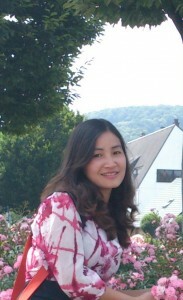 She works at the Institute of Materials Science (IMS) within the Vietnam Academy of Science and Technology (VAST). In their paper, Tran and co-workers show the influences of chemical composition and pH on the size, shape, morphology and luminescence properties of EuPO4•H2O materials during the fabrication process. The authors also demonstrated that the materials act as an alternative labelling tool for recognizing the measles virus. The project was initiated in response to a request from biologists for strongly luminescent materials for labelling. According to Tran, the success of the study relied on efficient teamwork, support and provision of research facilities from the IMS, and the wonderful collaboration with scientists at the Vietnamese Center for Vaccine Research and Production of Biologicals. Dr Marcela Gazitúa López works at the Universidad del Desarrollo in Chile and specializes in physical chemistry, chemical kinetics and computational chemistry. Her paper describes an experimental study of the effect of solvation on the mechanisms of nucleophilic substitution reactions. Marcela and her colleagues compared the results in water with those in 20 conventional organic solvents (COS) and 17 ionic liquids on the basis of solvent polarity indicators. The work began in 2012 as part of a postdoctoral project covering the experimental-theoretical study of conventional solvents and ionic liquids as reaction media. 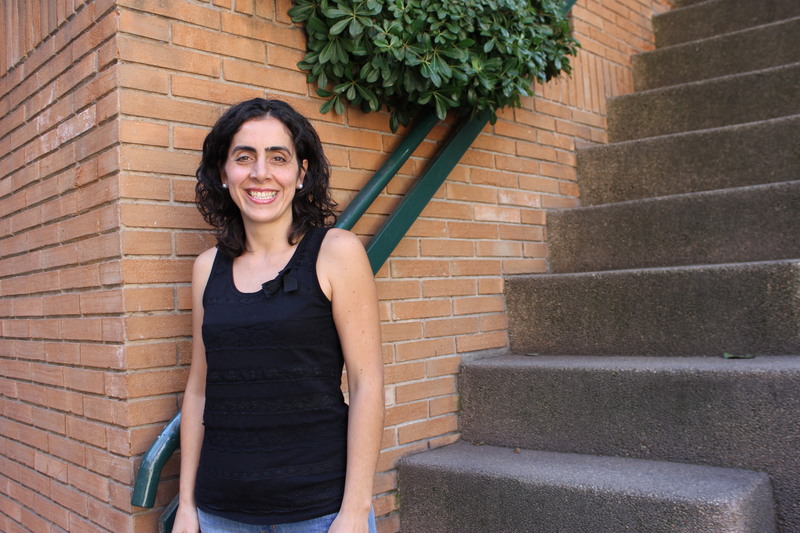 Marcela is proud to present her first postdoctoral work in NJC which, according to her, is a “a chemistry journal that will rise in impact because of a wide scope that will appeal to a broad readership”. Her favourite historical figure is Albert Einstein whom she admires for the importance and magnitude of his discoveries. 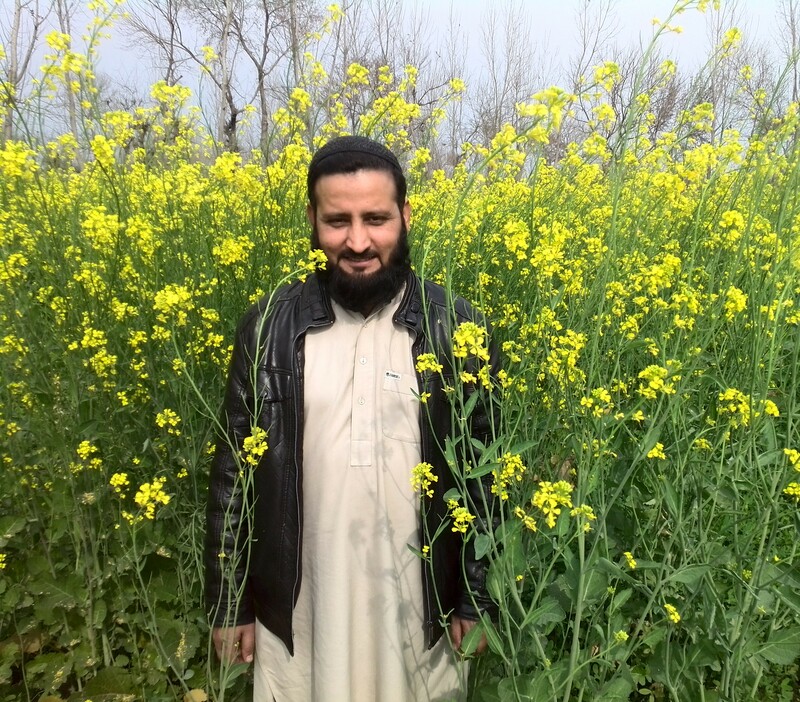 Dr Abdul Hameed, Assistant Professor at Kohat University of Science and Technology (Pakistan), focuses his research on the synthesis of noble metal nanoparticles and their applications in the field of medicine and analytical chemistry. 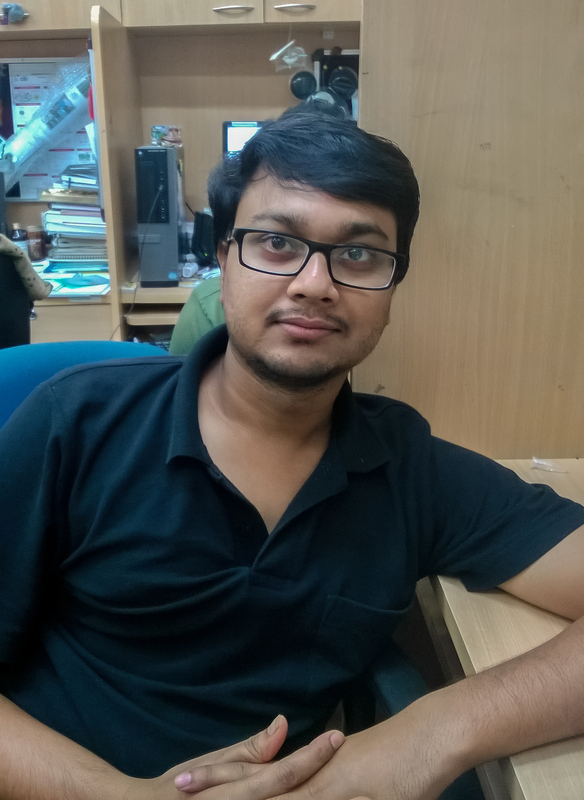 According to Abdul and his co-workers, their NJC paper, dealing with the use of noble metal nanoparticles in the field of enzyme inhibition, opens the gates for future research into this field. 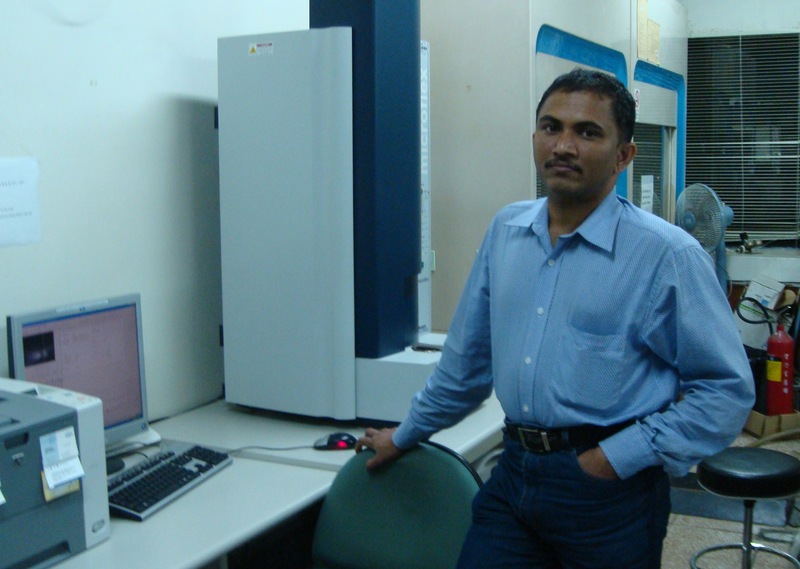 Abdul is a synthetic organic chemist who loves nanotechnology, especially noble metal nanoparticles. 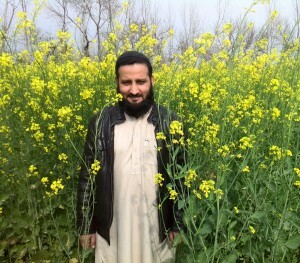 His work in this area is, however, hampered by the lack of facilities in Pakistan. This is one of the reasons why his group recorded TEM images for the paper in South Korea. Abdul’s dream is “to dive in the depth of nanotechnology” by going abroad to work with other hard-working research groups. “I hope I will find it very soon”, he says, to which we wish him the best of luck! Abdul Hameed, Sehrish Fatima, Faiz Ur Rahman, Tae-Ho Yoon, Andaleeb Azam, Shaukat Khan, Ajmal Khan and Nazar Ul Islam. Our second author, Dr Suresh Kumar Kailasa, is an Assistant Professor at the S. V. National Institute of Technology (India). 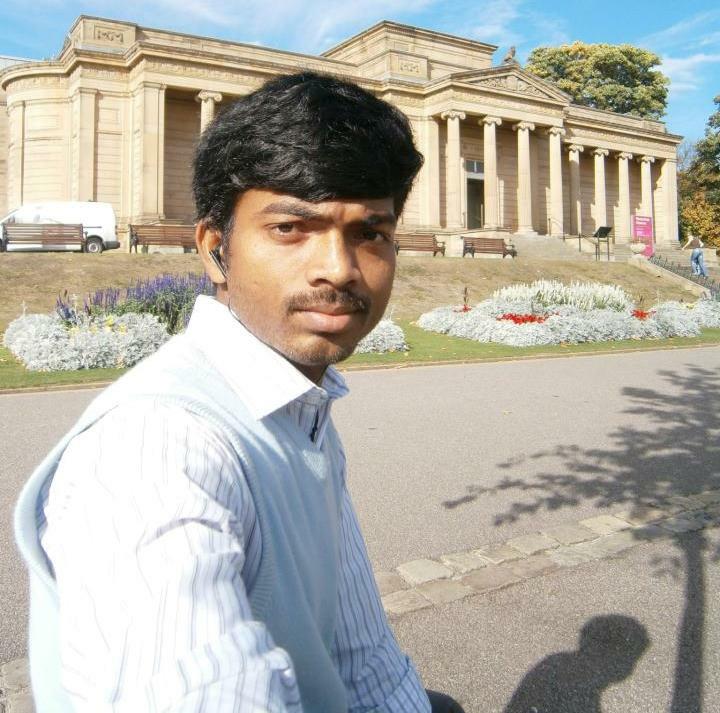 Suresh is principally interested in nano- and bio-analytical chemistry, mass spectrometry, sensors and proteomics. In their paper, Suresh Kumar and his colleagues report the use of p-amino salicylic acid dithiocarbamate functionalized gold nanoparticles (NPs) as colourimetric sensors for selective and sensitive determination of Fe3+ ions in plasma. The results show that the Fe3+ ion induces the aggregation of the modified Au NPs via the formation of a covalent coordination bond between it and an organic derivative on the surface of the Au NPs, leading to a colour change from red to blue that can be observed with the naked eye. They have developed straightforward methods for both the functionalization of Au NPs and the characterization of the NP aggregation induced by the Fe3+ ion. The functionalized Au NPs did not react with other metal ions and, therefore, were demonstrated to be selective for Fe3+ in both biological and environmental samples. Suresh Kumar’s dream is to develop miniaturized, nanomaterial-based analytical tools for inorganic, organic and biomolecule assays. Vaibhavkumar N. Mehta, Suresh Kumar Kailasa and Hui-Fen Wu. 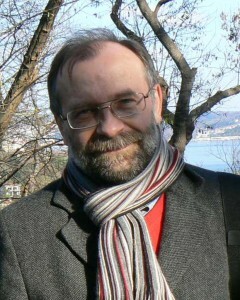 With his research group, Prof. William Skene works on conjugated materials prepared via simple methods and assesses their optoelectronic properties at the University of Montreal (Canada). Many organic materials undergo visible colour changes either when oxidized or reduced however there are few materials which can do both. In their paper, Will and his co-workers demonstrated that a reversible colour change upon both oxidation and reduction was possible with an easily-prepared, conjugated construct consisting of motifs known for their reversible redox properties. This research started as a summer project with a different aim before the unusual colour change behavior of the material was keenly observed by the student conducting the experiments. In order to delight taste buds, Will confesses that his dream is to be an outstanding pastry chef! Thanks to Abdul, Suresh and Will for sharing a bit of themselves with our readers. Join us again next month for more portraits in “Meet Our Authors”. 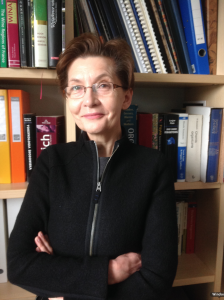 Katalin Ősz, Associate Professor at the University of Debrecen (Hungary), focuses her work on kinetics of inorganic (photo)reactions. In their NJC Paper, Katalin and her colleagues studied the structure-reactivity relationships in the oxidation of water-soluble quinones, which are sensitive to light and may have an important role in utilizing solar power. It was learned that otherwise nonreactive substituents can change several redox and kinetic properties and thus tune the reactivity. She also explains that NJC seemed to be an ideal venue because it offers a nice selection of papers from all the fields of chemistry for a general audience. 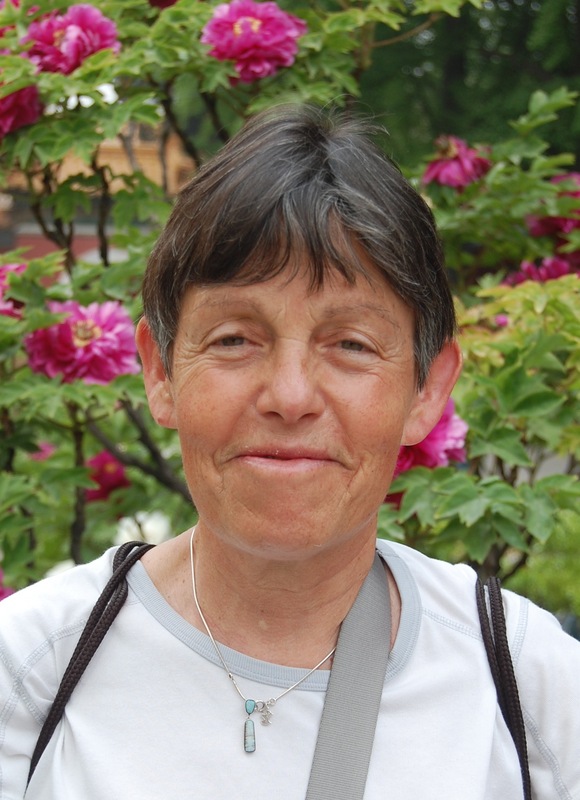 During her spare time, Katalin enjoys listening to classical music, hiking (mostly downhill), reading and traveling. 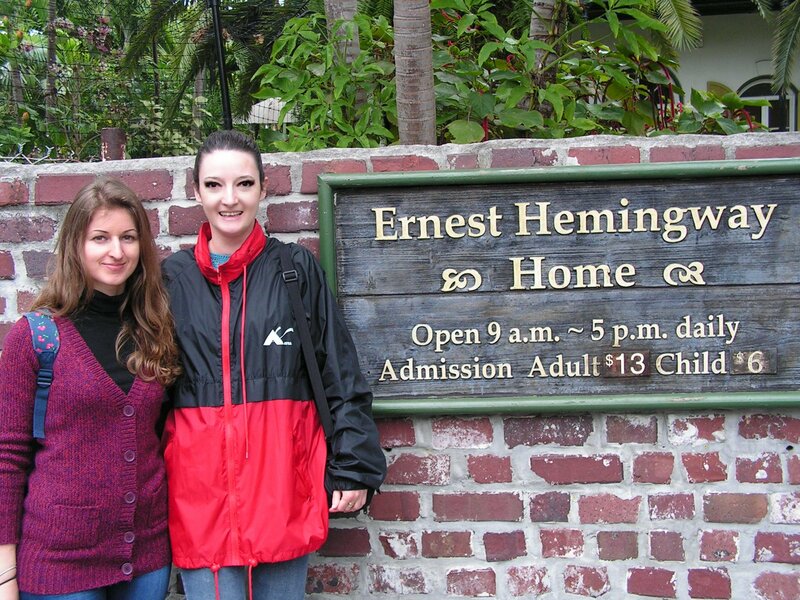 The latest is demonstrated by the photo picturing the first author of the article, Éva Józsa (on the left), and herself in front of Ernest Hemingway’s house in Key West (Florida), which they visited while attending a GRC conference on Inorganic Reaction Mechanisms. Bong-Hyun Jun, Assistant Professor at Konkuk University (Korea), works on the synthesis of nanoparticles (metal, QDs, silica) and their applications, but also on organic synthesis and surface modification. In their NJC Letter, Bong-Hyun and co-workers report the fabrication of a dye-sensitized solar cell (DSSC) using silica-coated quantum dot-embedded silica nanoparticles (SiO2/QD/SiO2 NPs) as a light-harvesting layer. According to them, these nanoparticles, which are brighter than single QDs, enable an easier handling because of their bigger size. The fact that they can be prepared in large quantity shows that they could be applied to several fields such solar cells, protein detection and in vivo imaging. 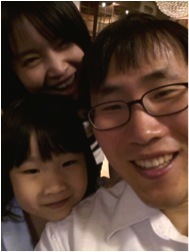 Bong-Hyun studied at UC Berkeley in California and traveled to several places with his family. He reports: “I was impressed by the natural landscape of California. Especially, Yosemite National Park was outstanding and we had a really great time there.” He now would like to have the chance to visit Europe! Our second author, Miss Shan Peng, Ph.D. student at the South China University of Technology, focuses her work on biomimetic/fabrication and performance characterization of superhydrophobic surfaces based on an Al substrate. After the discovery of the hierarchical macroporous alumina template, Shan and her collegues introduced a simple template-wetting method to prepare superhydrophobic PMMA macroporous surfaces with diverse water adhesion reported in their NJC Paper. 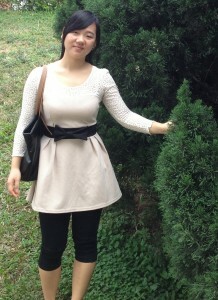 Shan’s favorite place in China is Guangzhou, one of the most developed cities. She appreciates the convenience of the public transport and the warm weather even during winter, since she does not like cold weather. Moreover, Guangzhou is famous for its variety of flowers, which has given it the name of ‘Flower city’. In their NJC Paper, Pani and co-workers describe the magnetic properties of a readily prepared and structurally interesting fused Blatter radical. According to them, the information provided could assist in the design of radicals with tailor-made solid-state properties, which can potentially find use in a range of organic electronic applications. 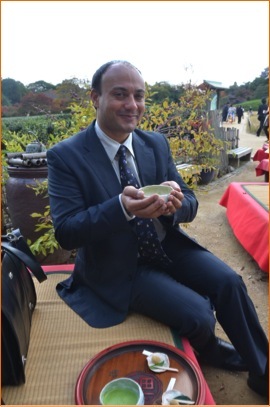 Pani has travelled extensively and India is by far the most exciting country he has visited. According to him, the people are friendly and hospitable, the food is excellent and there is an incredible diversity on many levels. 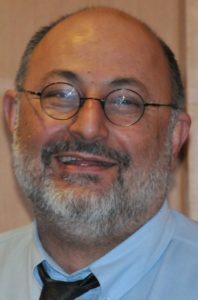 NJC Editor-in-Chief Mir Wais Hosseini was awarded the Humboldt–Gay-Lussac Prize by the Alexander von Humboldt Foundation for 2013. This prize, given each year to active researchers in France, recognises their contributions to French-German cooperation and their scientific projects. 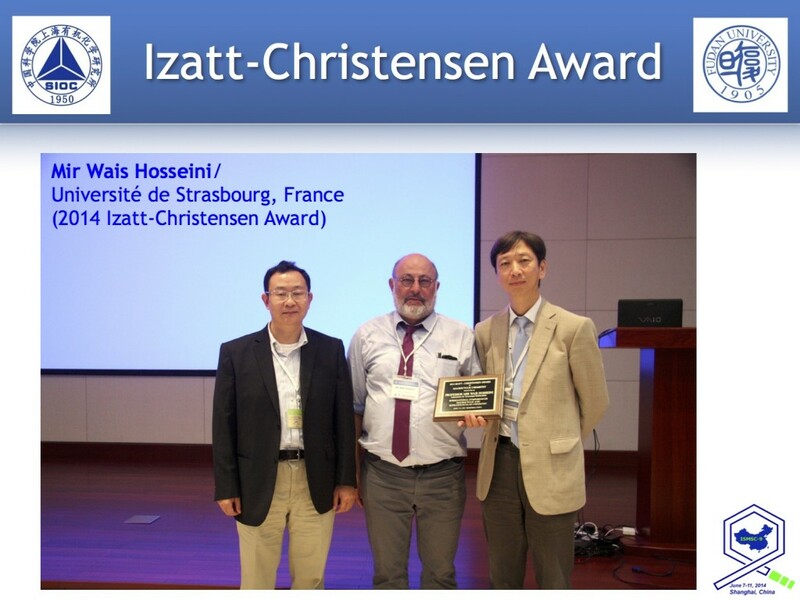 Wais Hosseini, professor at the University of Strasbourg and director of the Molecular Tectonics Laboratory, was proposed as a laureate by Professor Stefan Bräse of the Karlsruhe Institute of Technology. 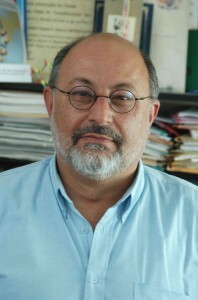 Wais was one of 10 French scientists to receive the Humboldt–Gay-Lussac Prize in 2013. On the German side, Gay-Lussac–Homboldt Prize was discerned to two distinguished scientists. More details (in French) on the 2013 laureates and these French-German awards can be found by clicking here. Last December the French Academy of Sciences announced the election of 17 new members, including Odile Eisenstein and Azzedine Bousseksou to the chemistry section. Odile Eisenstein, computational chemist and CNRS Director of Research working at the University of Montpellier, has been associated with New Journal of Chemistry since its founding, as Nouveau Journal de Chimie, in 1977. She served as Editor-in-Chief of NJC from 1993 to 2000 and has been a member of the editorial board since 2001, representing the CNRS. 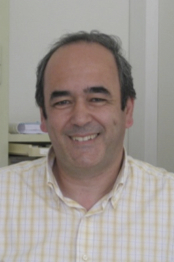 The junior member elected to the Academy’s chemistry section is Azzedine Bousseksou, CNRS Director of Research in the Coordination Chemistry Laboratory in Toulouse. His research is focused on molecular magnetism and switchable molecular materials. Azzedine coordinated NJC‘s November 2013 issue celebrating the career of his Toulousian colleague Dr Bernard Meunier. Congratulations to Wais, Odile and Azzedine for these honours! 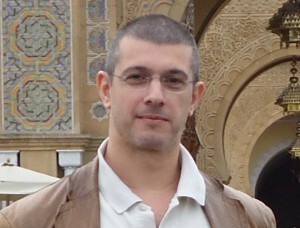 In an excellent review on the chemistry and applications of nanodiamonds (diamondoids), our first authors—Professors Peter Schreiner of the Justus-Liebig University, and Jean-Cyrille Hierso of the Institut Universitaire de France—explain how these fascinating structures are the next generation sp3-carbon materials supplied by nature (in gas and petroleum). These long overlooked “carbon gems” close the gap to the popular sp2-materials such as carbon nanotubes, fullerenes, and graphenes that have complementary properties. Peter’s goals for 2014 are to establish two recently introduced concepts more firmly. The first is the tunneling control of chemical reactions, where he has shown in a series of papers that tunneling can override kinetic and thermodynamic considerations, and should therefore be considered as the third paradigm to rationalize chemical reactivity. 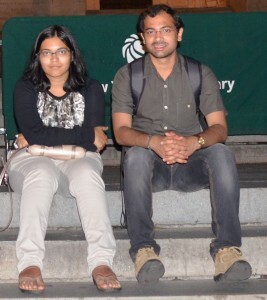 His second goal is to decipher the role of London dispersion interactions for chemical structures and in chemical reactivity. 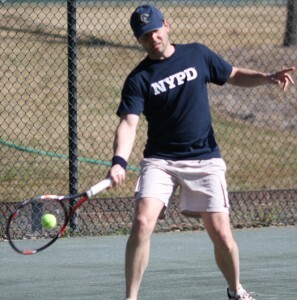 At a personal level, he would like to become a better tennis player, although he believes he has already begun struggling with typical age limitations! For his part, Jean-Cyrille plans to continue to promote science and to continue contributing to the “blossoming” of his co-workers. Professor Masanari Kimura of the Nagasaki University in Japan is interested in the development of new reactions based on transition metals and heterocyclic chemistry, as is demonstrated by his January contribution on the formation of C—C bonds using allylzinc species and carbonyls. Masanari says his inspiration for this work comes of course from Philippe Antoine Barbier and François Auguste Victor Grignard. 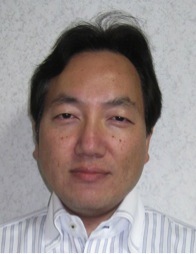 A major goal for Professor Kimura in 2014 is the development of novel and efficient organic syntheses of useful compounds from carbon dioxide. As for goals for the coming year, Professor Ostrowska comments, “In a recent publication I described the two different mechanisms of ligand binding to zinc and indium ions. In 2014 I hope to find out why these receptors selectively recognize zinc and how resonance effects can influence the quantum yields of different substituted fluorophores”. Many thanks to all our authors who contributed photos and comments for this article. Our first author, Dr Santa Chawla, works at the CSIR National Physical Laboratory in New Delhi (India), where she is Associate Dean of Physical Sciences and also professor of the Academy of Scientific & Innovative Research. 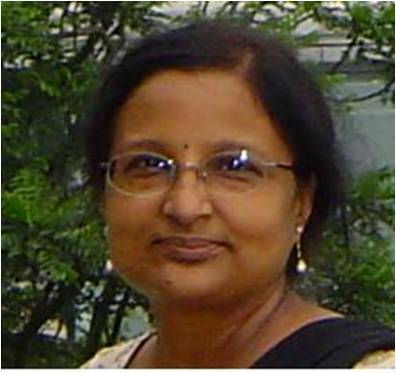 Her research centres on the development of phosphor nanoparticles for the enhancement of solar cell efficiency through solar full-spectrum conversion. With several colleagues, Santa’s paper reports their latest efforts to develop materials for efficient energy harvesting. In this paper, a single phosphor with dual excitation and dual emission properties has been fabricated. Their material also shows plasmonic enhancement of the fluorescence. Such a material with intense red and green emission can be very useful for simultaneous conversion of solar UV and IR to visible radiation. When not in the lab, Santa enjoys both reading and travelling. 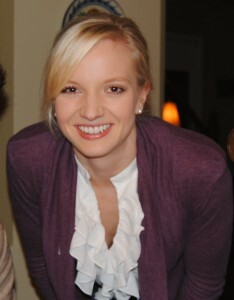 Julia Bayne co-authored the Focus review on pigments with Prof. Ian Butler. While participating in the Inorganic Chemistry Exchange Program during the summer of 2013, Julia worked in Ian’s materials science laboratory at McGill University (Montreal, Canada), which specialises in variable-temperature and high-pressure micro-Raman spectroscopy of artists’ pigments. Temperature and pressure-dependent structural changes of artists’ pigments play an instrumental role in art conservation and the determination of forgeries. Additionally, the stability of the pigments noted in their paper reinforces their continued long-term use in artwork. Julia is currently a 4th year undergraduate student at the University of Ottawa (Canada) in the chemistry honours programme. She is conducting research in an organometallic laboratory, exploring the synthesis and reactivity of transition metal catalysts with respect to perfluoroalkene polymerization. When not in the lab or immersed in a chemistry textbook, Julia practices yoga or weight-lifting, aiming to improve her “physical” chemistry. Our last author for this month is Dr Igor Sivaev, who is a senior researcher working in the area of boron chemistry at the A.N.Nesmeyanov Institute of Organoelement Compounds in Moscow (Russia). “Chemistry has widely spread his hands in human affairs” said Mikhail Lomonosov, famous Russian scientist encyclopedist in the middle of the 18th century. Today these words are associated in the best way with the chemistry of polyhedral boron hydrides (boranes, carboranes, metallacarboranes, etc.) that find applications in such different fields as cancer diagnostics and treatment, liquid crystals, nonlinear optic materials, catalysts, molecular machines and many others. Therefore I chose NJC to publish this research work because the journal is addressed to a cross-disciplinary and wide readership. 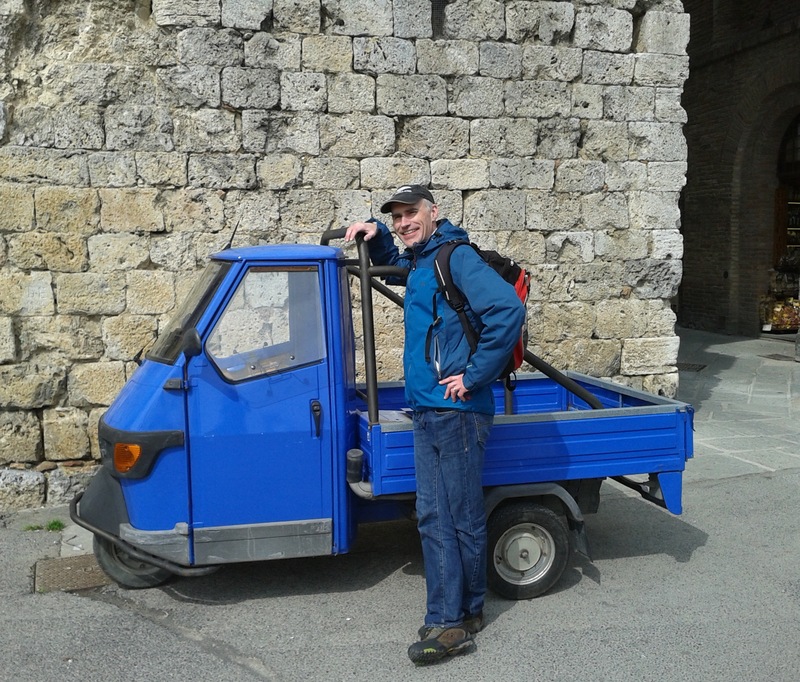 In his free time (when he has some) Igor reads non-fiction works and enjoys travelling to different places with historical or cultural significance. A very warm thanks to our three authors who agreed to play the game and reply to a few questions.